Townsville Remote Localities Allowance of $2,972 per annum is also payable on a fortnightly basis. The primary function of this role is to develop and implement effective campaigns and strategies to assist members to bring about positive change in their workplaces. There is a strong emphasis on recruiting members and developing members, delegates and workplace leaders. The CPSU will provide support and development to the successful applicant. Please submit your application by COB Monday, 29 April 2019. The CPSU (PSU Group) is one of Australia’s most active and innovative trade unions. CPSU members work in the Australian Public Service, the ACT and NT governments, and a number of community and private sector areas. The CPSU supports a strong, independent public sector and the essential services it provides to the community. We believe every worker deserves dignity and respect, a safe workplace, decent pay and conditions, rights at work and a balanced working life. 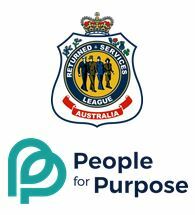 Please quote in application: Field Organiser via Pro Bono Australia.